It's time for some coffee talk: a little peek at what's been going on with life over the last few weeks. The months just seem to be flying by so far this year. How are we already close to March? Mike's birthday is next weekend - I have to start planning! Since Valentine's Day last week was on a Tuesday, we obviously had to play kickball. Mike sent flowers to my office (on Monday) and we went to happy hour at one of our favorite spots on King Street: Basil. We were never really fans of Thai food before moving to Charleston, but this place is amazing! I love using my recipes tab when we're looking for something to cook or bake. The only downside is that many of the recipes are on the older side 3+ years ago, and my photography skills weren't exactly the best. Now, when I use any of those recipes, I like to go back and take a few new photos to add to the post. Last week, Mike made orange swirl cake to bring to a neighbors' dinner, and I was glad to add in a few, less yellow, photos. 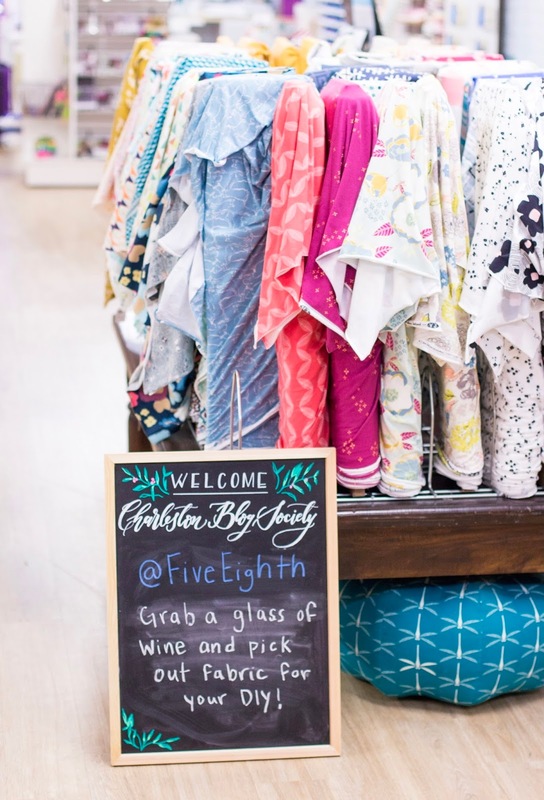 There has been so much blogger fun going on in Charleston. 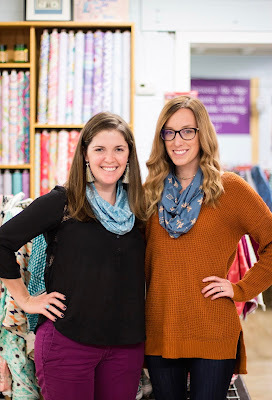 Last month, I had my first attempt at sewing at Five Eighth Seams, and Liz gave a fantastic Instagram talk. Thanks to Ashley for the great shots! 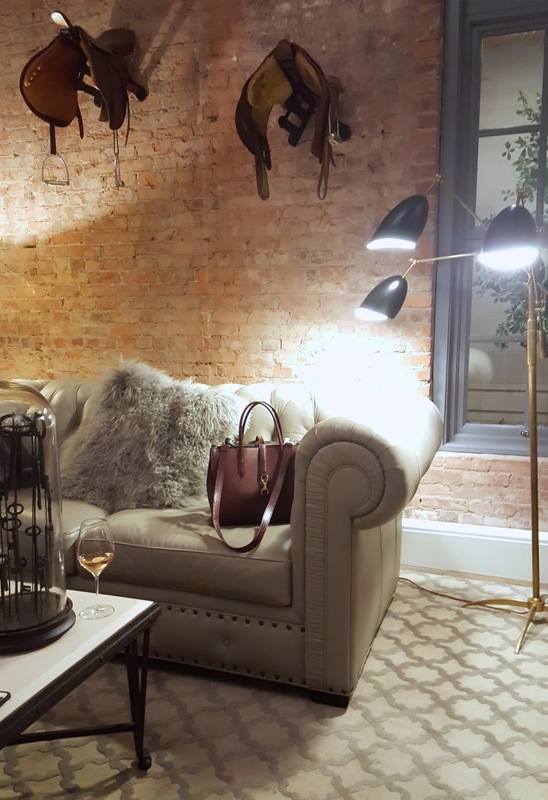 This month's event took place at Vestique (this was actually our second event there). We learned about creating flat lays, and I worked with Cambron to create our own with items found around the store. I also had the best time last week at a blogger kickoff party for SEWE. Lionel the Hedgehog was there, and the Restoration Hotel had a couple of fantastic pop-ups to check out for the weekend. 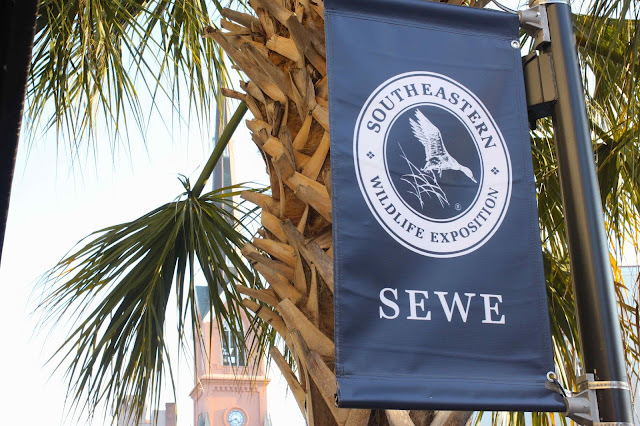 Speaking of SEWE (Southeastern Wildlife Exposition), it is one of my favorite weekends all year. 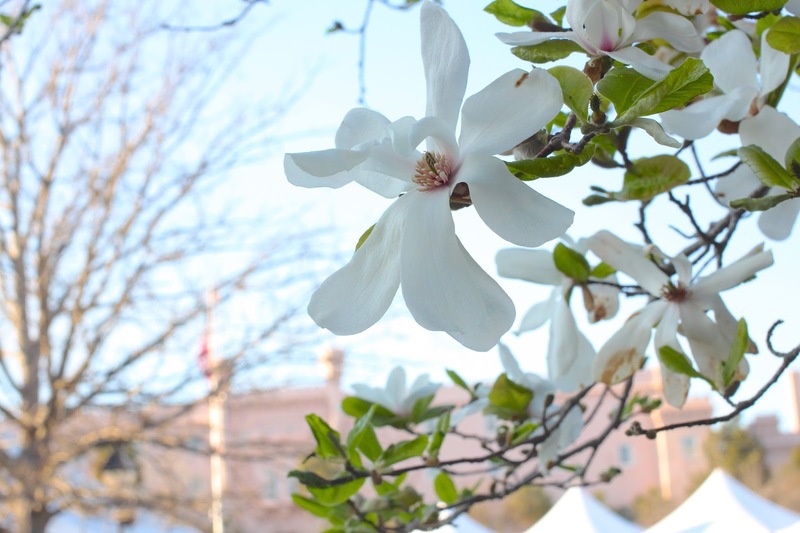 We love watching the Birds of Prey show in Marion Square and all of the cooking demonstrations downtown! Walking around town, we made sure to stop at my new favorite coffee spot - Revelator. I'm working on a post of my favorite places for coffee in the city, and I can't wait to share more about this place soon. Their espresso + milk is delicious and all of the pastries come from another local place, Butcher and Bee. Last, but not least, because the weather has just been too good, here are a couple photos of the city in bloom. That sewing class sounds really fun! Your Valentine's flowers are gorgeous! omg the city is just showing off now! and that hedgehog omg. i would have tried to steal it. so many fun events in town, that's awesome! Aww your hubby is adorable! :) The flowers are beautiful. 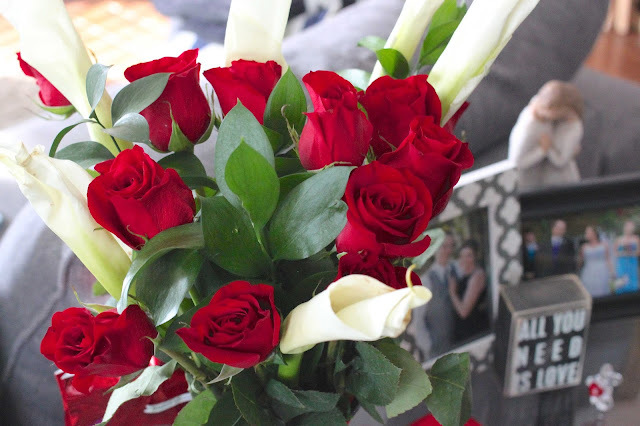 The flowers Mike sent are so pretty! 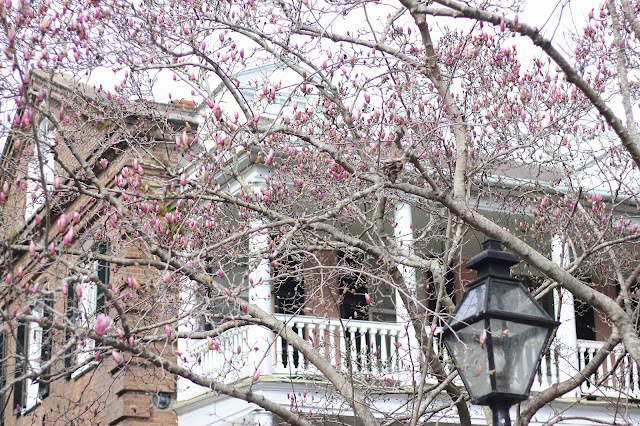 It looks like you've been up to so much blogger fun and Charleston looks like it's totally ready for spring! 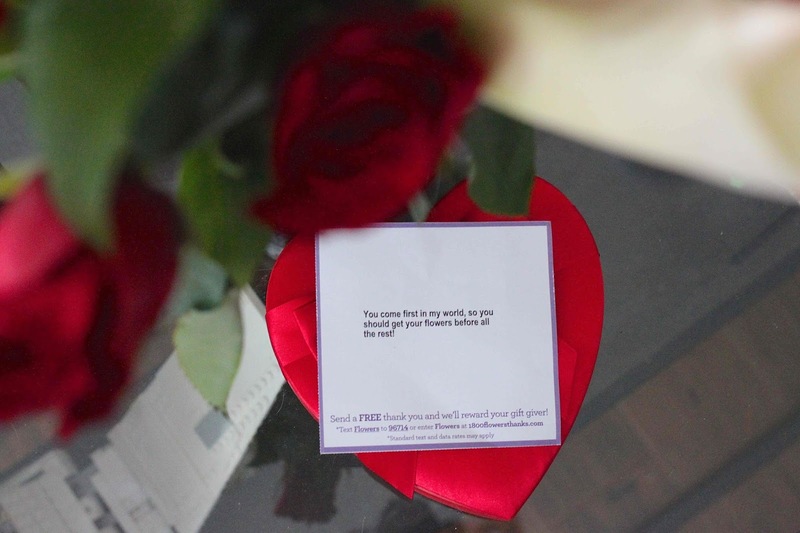 Oh my gosh, that note with the flowers is so sweet! I LOVE your outfit with the white blouse and printed skirt! (I saw a comment above mentioning a hedgehog and I was like, "What?" 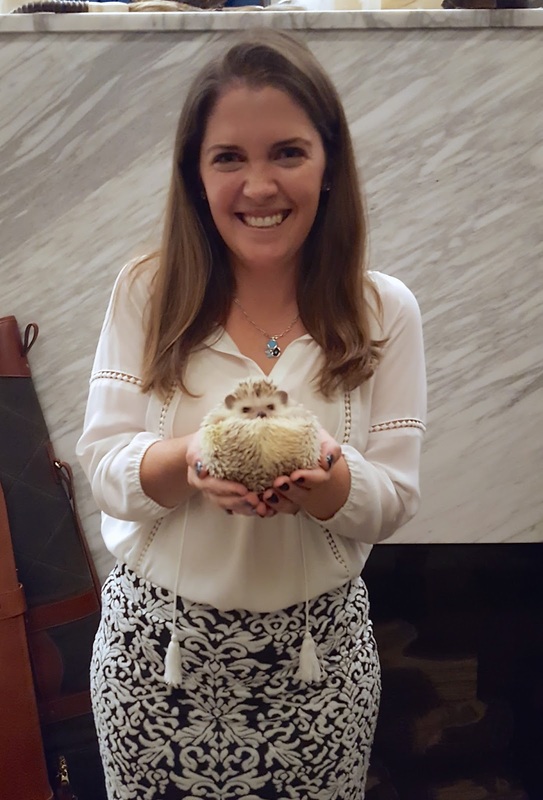 and scrolled back up...your outfit totally distracted me from even noticing the hedgehog hahaha!) Your pictures are really great. The trees are looking so pretty!! That note... that is precious. What a good hubby. We're getting blooms here - like 2 months too early!!!! This warm spell is CRAZYYYY -I'm loving it though. The note on the flowers!!!!!!! I'm dying from all the adorable. You look adorable in the photo with the hedgehog! I love that skirt! The weather has seriously been amazing!! It's 70 today and I have been dying to get outside! We've had some great weather in the 60s and 70s this week but now its grey and dreary and rain is settling in for a cold 40s weekend. But hopefully that will go away after! Mike, that was the most adorable note ever! 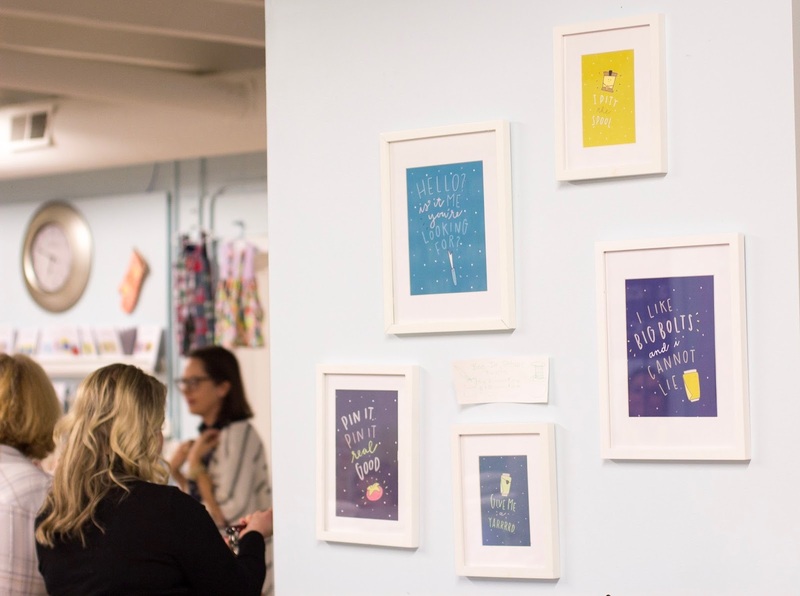 Charleston has such fun blogger events that you get attend and meet other bloggers. Wish we had similar events. All the blooms look gorgeous around the city. My husband was stationed in Charleston for a while and I loved visiting him there. 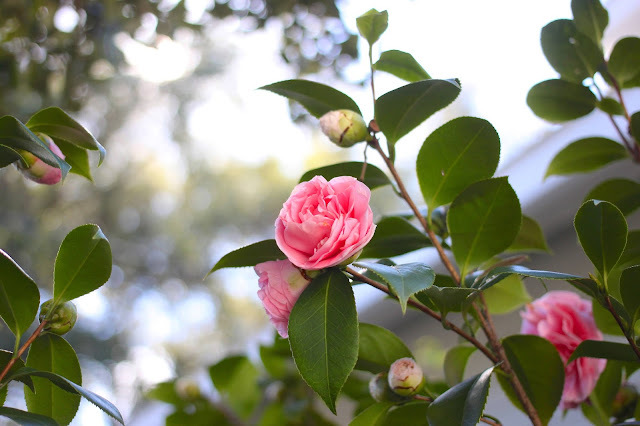 It's just such a great city and your pictures of Charleston in bloom have me dying to go back. I always hoped we would get go to back there one day for a visit. Such fun events around town. How pretty are all the blooms?! You definitely are having a fun month! Those roses are beautiful and so sweet :) And how fun are those blogging events & workshops?! A fellow Charleston blogger! :) :) I LOVE Basil, too, and I spazzed when they opened another location in Mount Pleasant (definitely one of our favorite places to eat since we don't get downtown as much as we'd like). I need to look into that sewing workshop--I adore sewing and embroidery but I still have SO much to learn! definitely a fabulous Life Lately!! I love Charleston--one of my favorite cities in the States!